Music Writing Place is all about creating the right atmosphere and workflow to help you to get your music writing and recording realized. In order to achieve this, we offer a inspiring setting, where you can team up and focus on your creative process. With housing capabilities for up to 20 guests and an optional musical setup in our Lounge Room at The Villa, you can start writing immediately. Choose from all kinds of professional instruments and gear. Our onsite audio technician is available upon request. 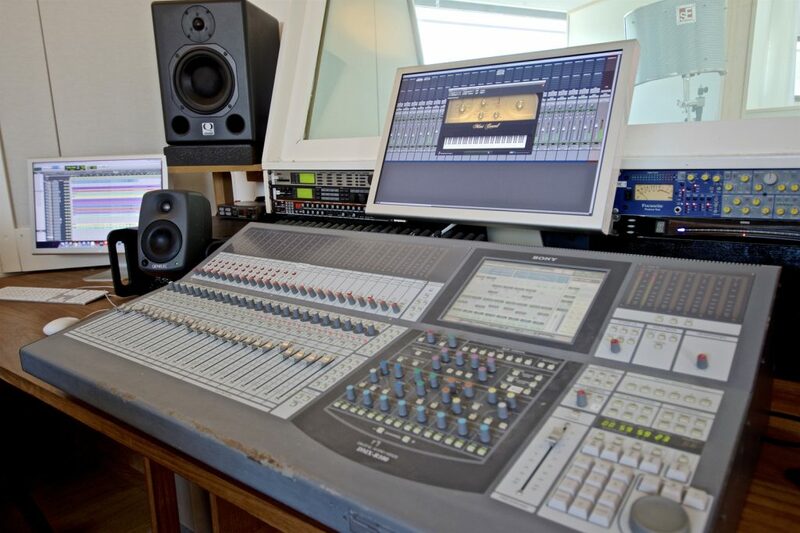 We work with industry standard, professional studio gear. To help you focus on your creative process even more, we offer several catering and transportation possibilities. Check prices and availability. Every season has it’s benefits but the special thing about Music Writing Place is that it is inspiring throughout the entire year! 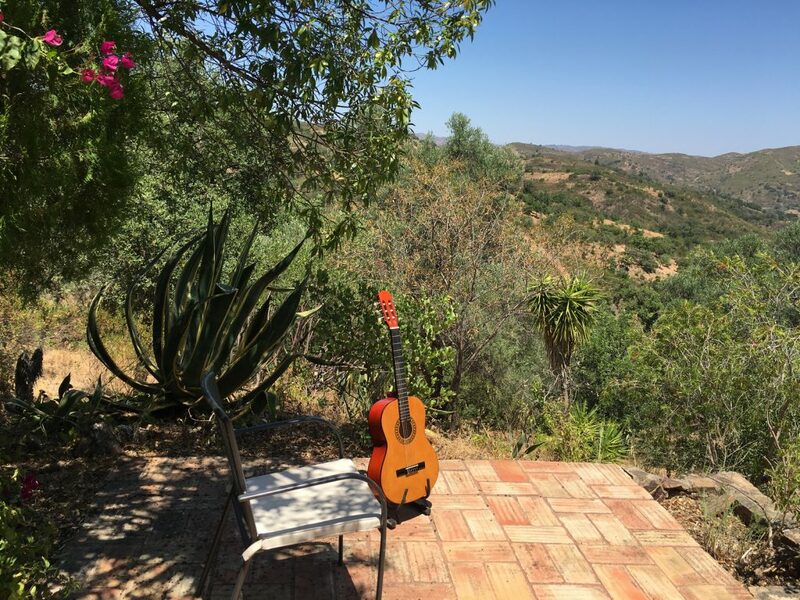 Music Writing Place is located in the unspoilt hills of the eastern part of the Algarve. Characteristic for this area is the fact that it is not yet overwhelmed by tourists. In the environment of The Villa and The Recording Studio you will discover that traditional farmlife is still present and if you listen closely, you can hear your heartbeat! 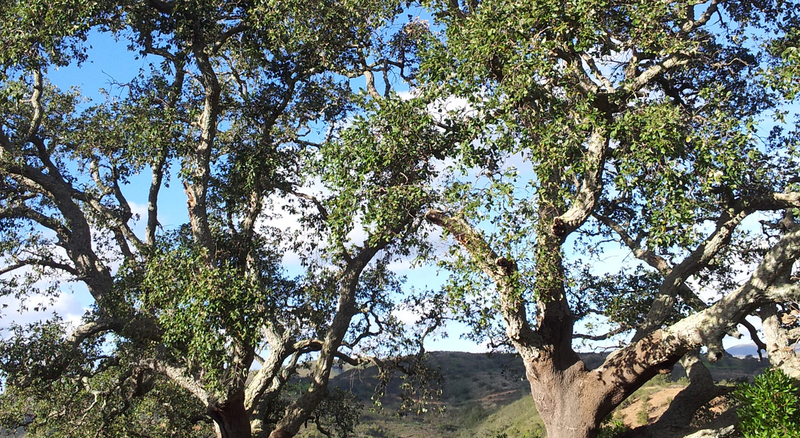 Around Music Writing Place you can’t miss the amazing inspiring forces of nature. Sit down, experience and relax. Due to many sunhours in all seasons Music Writing Place is light and colorful. Exotics plants and trees offer inspiration, and the opportunity to go out for a coffee or drink in a nearby village is comfortably at hand. The Villa facilitates a maximum of 8 guests with a total of 6 bedrooms. 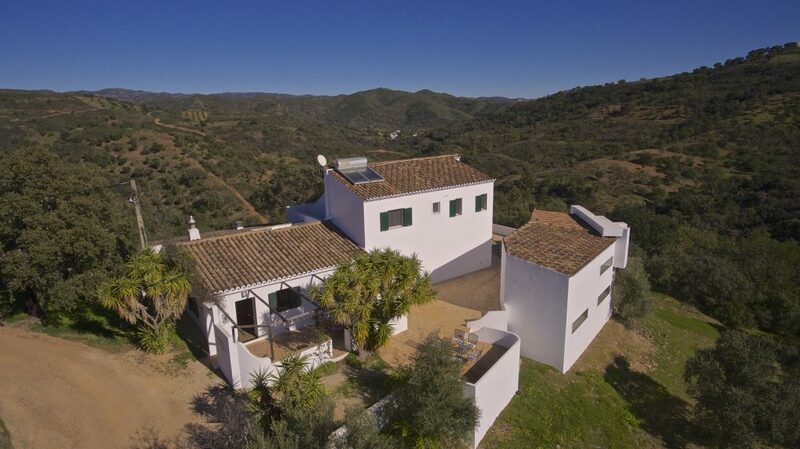 Around the house, which is built in traditional Portuguese style, you’ll find terraces, with exotic plants, cactusses and lots of land with corque or almond trees. On its rooftop terrace, the Villa offers stunning 360 degrees views of the surrounding unspoilt natural environment. 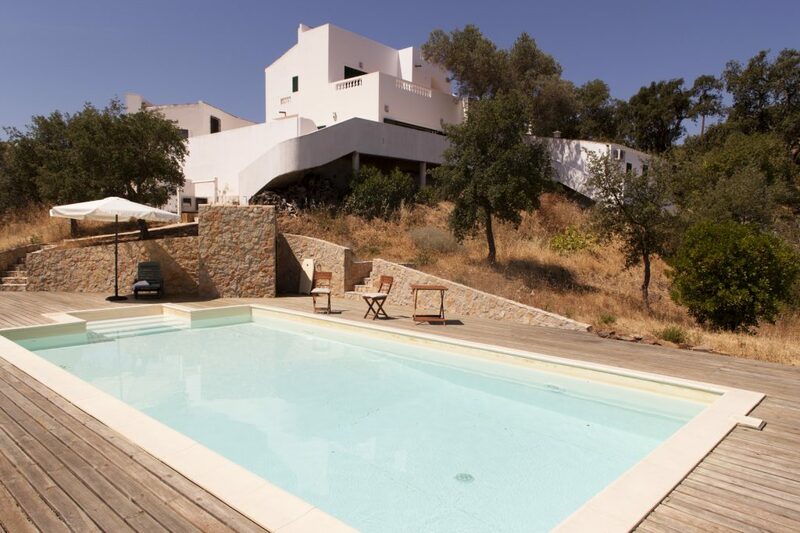 The pool has a pooldeck with several sunbeds and a charming inside patio connects the inside and outside of the Villa. Some rooms of the Villa offer interesting accoustics due to the way they’re constructed. In one of the big living rooms there is plenty of room to eat with your group. 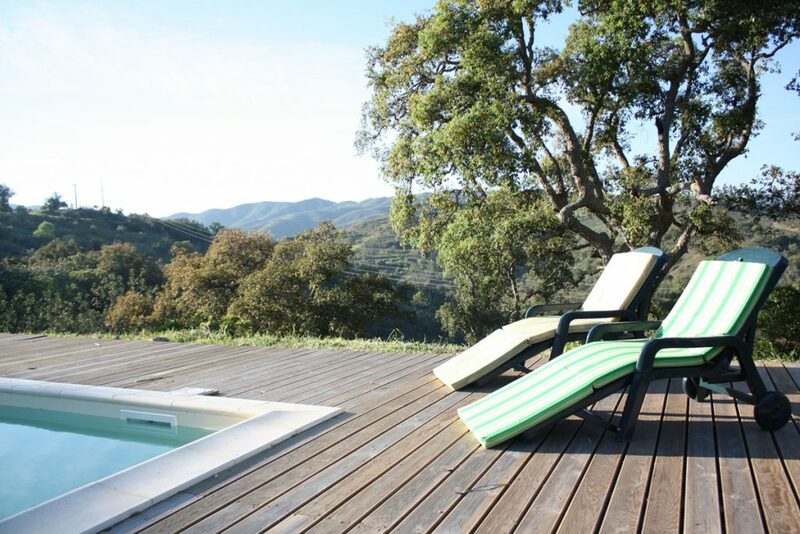 The Villa and surroundings offer plenty of room to gather or to find some time apart. In the Lounge Room, accompanied by a baby grand piano you can facilitate a music setup upon arrival. Simply pick your instruments and start right away (Included in the Inspiration Package). Both, only 200 meters apart. 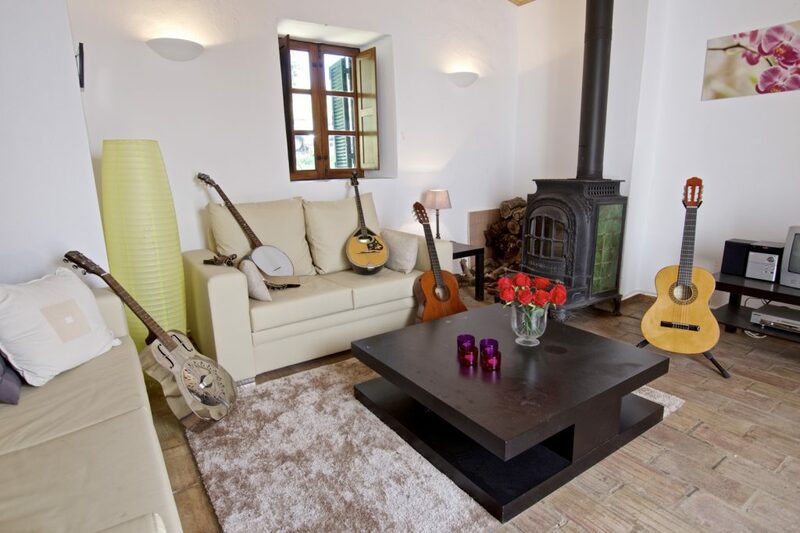 This way Music Writing Place can accommodate up to 20 guests. Does your group consist of more than 20 guests? No problem! We can arrange several nearby overnight stay possibilities for you. A wide variety of music instruments is available and most of them are included in our Packages, others are for rent. Choose from premium, custom or vintage guitars, exotic guitars and instruments, several keyboards and amplifiers, percussion instruments or other pre-production tools. The Recording Studio is provided with a backline of high quality instruments and industry standard, professional studio gear in it’s Control Room. Here you can work on your music production and record with our high-end microphone pre-amplifiers and extensive backline of instruments and studio gear. Bring your own technician or work together with our onsite audio technicians or producers. Need help with production? Contact us and ask about our optional producers. The onsite audio technician can help you with your musical and technical wishes. In case you want to spend all of your time creating and recording music, we offer the possibility of tailored or full catering. 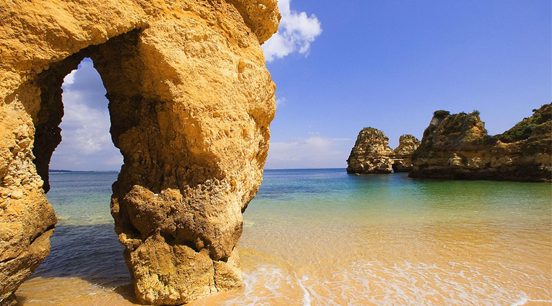 Transportation from- and back to Faro International Airport can be arranged as well as a shuttle to do daytrips or nighttrips. If you do not want to spent any time cooking or shopping for food, we provide full catering and butler service: always someone around to poor in drinks.